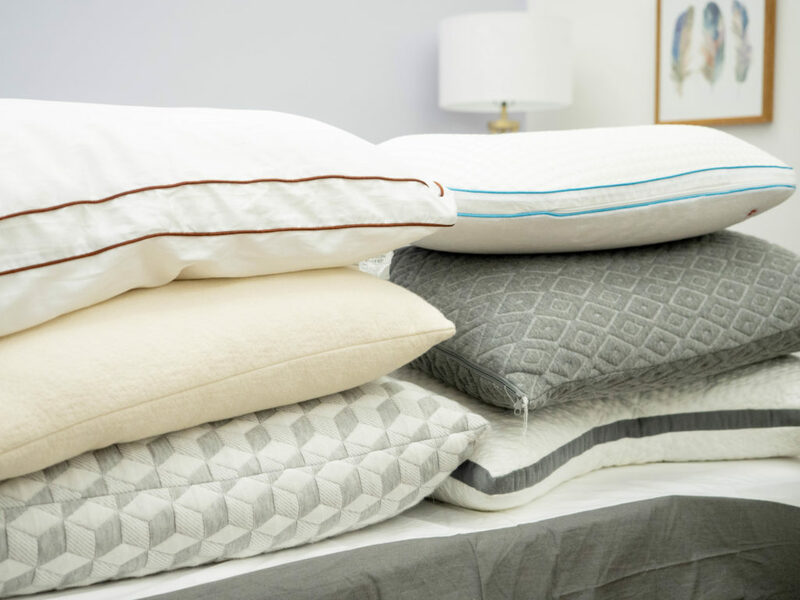 When you’re on the hunt for the perfect pillow, there’s a long list of things to consider — not the least of which is material! Of course, different materials are going to offer different feels and levels of support, and a lot does come down to personal preference. But the truth is, personal taste aside, some constructions are going to be more compatible with certain sleep styles and body types. The key is finding the one that’s best for you. 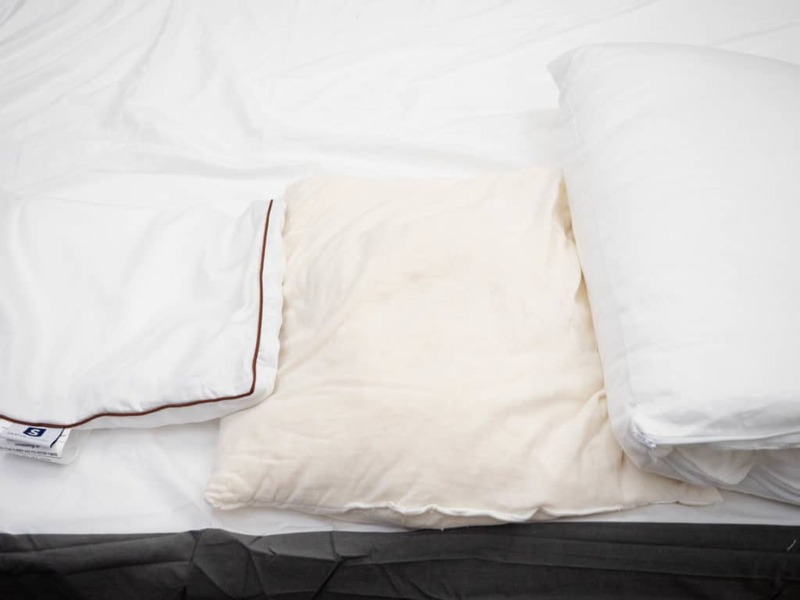 In this review, we’ll be taking a close look at two distinct styles of pillows: memory foam and latex. I’ve chosen three of each so you can better understand how they compare, and which sleepers might be most compatible with which material. 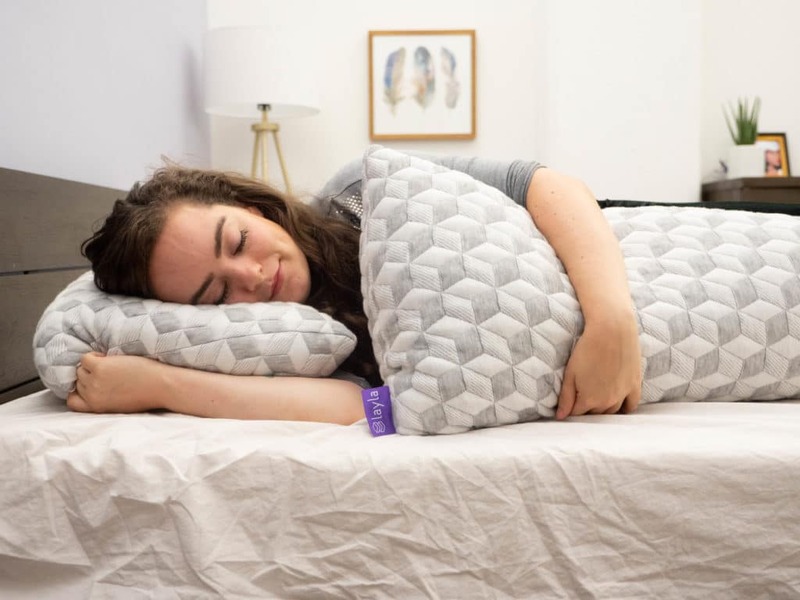 Of course, there’s a wide world of pillows out there so if you’re not sure about latex and memory foam after this review, check out our list of the best pillows, and we’ll help you find the sleep accessory that’s right for you. First of all, it’s important to understand that not all memory foam feels the same, and not all latex feels the same. However, there are some consistent characteristics of each material that can tip you off when you’re trying to find the one that works best. 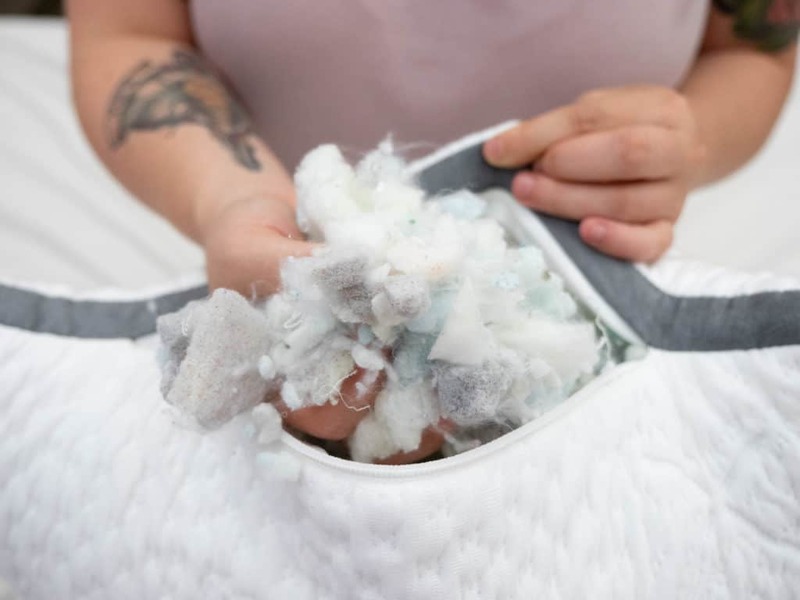 When it comes to memory foam, you’re likely to encounter a slow response to pressure, a deep sink into the material, and a conformance to your head and neck. However, there are always exceptions to every rule, and the feel of memory foam does depend upon its construction. For example, a solid piece of memory foam is going to perform differently than shredded memory foam. Shredded memory foam is going to offer a different feel compared to a shredded blend of memory foam and another material. “Different how?” you ask? Read on to find out! Latex, on the other hand, offers a bouncier, quicker response to pressure. Like memory foam, it still conforms to your head and neck, but in a more buoyant way. It’s typically less dense and offers less of that slow sink and more of a light, supportive lift. Again, the feel and support of latex does also depend on its construction and the type of latex used. For example, shredded latex is going to feel different from a solid piece, and Dunlop latex is going to feel different from Talalay latex. Now let’s take a close examination of three latex pillows alongside three memory foam pillows, each featuring a different construction. This way, you can see the variations within each style of pillow and (hopefully) figure out which is best for you! Here we have an example of two pillows with similar constructions, but made from two very different materials. So let’s take a look at how a solid piece of memory foam performs next to a solid piece of Talalay latex. As soon as you press into this pillow, you can feel the light buoyancy of the Talalay latex inside. Talalay latex has a super bouncy-quick response to pressure and, unlike Dunlop latex, has a density that is consistent throughout the entire pillow. 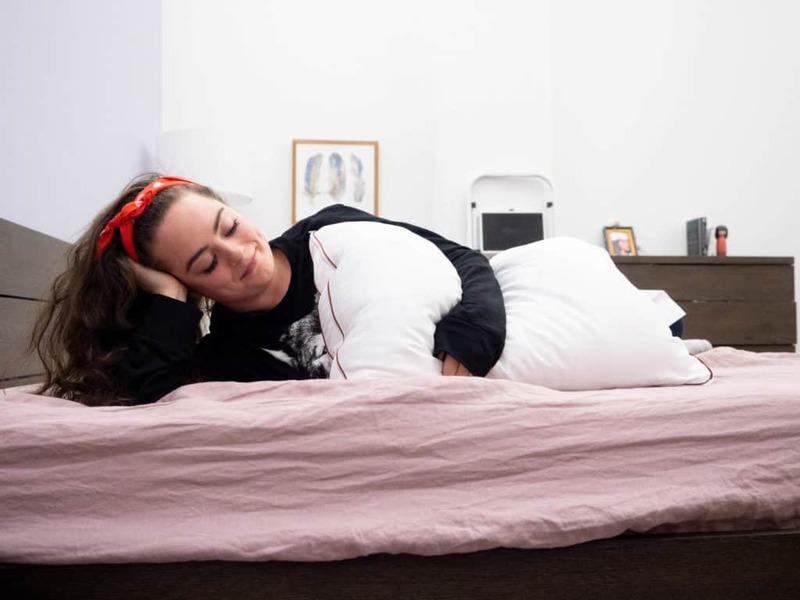 You can (literally) bounce this pillow off the mattress, so you might imagine how sleeping on it provides your head a supportively light lift rather than a deep sink. The Talalay latex inside this pillow is 60% synthetic and 40% natural, but all the synthetic materials are what the company calls “filler,” mostly made of ground seashells and sand. 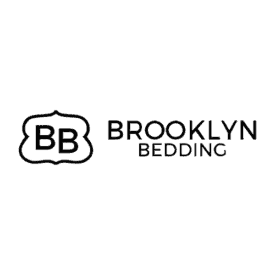 Now, with this pillow, Brooklyn Bedding gives you the option to choose either plush or firm support. However, it’s important to remember that the feel of Talalay latex is generally going to be light, bouncy, and hyperresponsive regardless of firmness level. Rather than a deep conformance to your head and neck, the latex sort of cradles you, holding your posture in healthy neutral alignment. Because it has such a super quick response to pressure, the latex adapts to your shape and moves with your body as you change positions. Sleepers interested in the bouncy-plush support of a pillow like this one should check out my full review of the Talalay Latex pillow from Brooklyn Bedding! Combo sleepers can enjoy light, buoyant support to ease neck and back pain in every position! Use code SLEEPOPOLIS10 to take 10% off your order! Inside this pillow is a solid piece of the company’s proprietary memory foam. It’s designed to be a lighter weight foam meant to dissipate heat and keep the sleeper cool. But the first thing you notice when you press into this pillow is the oh-so-slow response to pressure. Unlike latex, memory foam (especially a solid piece) is going to deeply conform to your head, neck, and anything else you press into it. This particular pillow, though filled with one piece of foam, features a dual construction. One side is the flat, traditional side, and the other offers a shallow contour in the center of the pillow. The side with the contour is intended to enhance healthy posture and spine alignment when you’re on your back. Even without this special feature, memory foam naturally conforms to your head and neck — a trait that has helped make this material so popular. Traditional memory foam lovers usually enjoy that deep, slow sink and conformance to pressure, but it can come with one main downfall! Solid memory foam has a reputation for being less breathable, storing your body’s heat, and causing sleepers to warm up over the night. Like I said, the folks at I Love My Pillow designed this particular foam to be better at dissipating heat in order to counteract this tendency. When you look at this memory foam pillow beside a latex pillow, you’re really getting a good look at the distinct characteristics of each material (and what makes them so dissimilar!). If you want to learn more about the Out Cold from I Love My Pillow, check out my full review! Shredding either of these materials creates an entirely different feel when compared to a solid construction. The individual pieces of foam or latex are broken up, allowing them to move freely within the pillow. For both memory foam and latex, this is going to offer more shapeability and breathability — but the overall feel and support of each material is still markedly different! 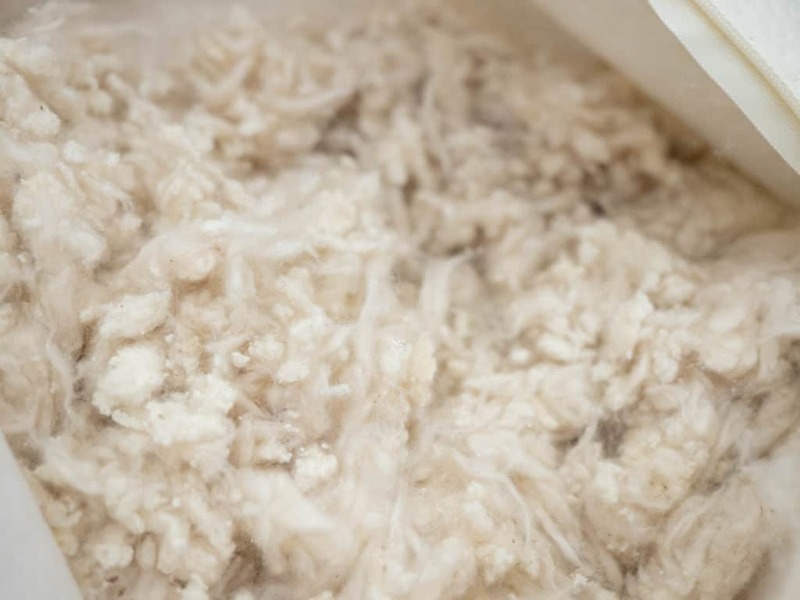 Shredded memory foam has become increasingly popular because it offers that distinctively slow sink into the pillow, but also tends to foster a fluffier build than a solid construction does. The Easy Breather Side Sleeper pillow from top-rated mattress company Nest Bedding is stuffed full of shredded memory foam, and has a lofty build of about 7 inches. The foam in this pillow conforms to your head and neck, offers even pressure relief, and helps you to maintain healthy spine alignment. Memory foam fans who also happen to be side sleepers are going to be particularly compatible with this sleep accessory. Why? Well, it’s shaped sort of like a boomerang. The sides are thick, the middle is thinner, and it curves in the center. This way, side sleepers can roll back and forth and always be met with a lofty cushion of memory foam to support their necks. But you’ll notice that the shredded nature of the foam offers more breathability, malleability, and fluffability because the individual pieces are able to move independently. While shredded memory foam generally serves to sleep cooler than solid foam, my favorite perk is all about its ability to be adjusted. Of course, when you’re working with a solid piece of foam, there is no way for you to remove or manipulate the fill level. With shredded foam, however, sleepers often have the option to unzip the pillow, reach in, and adjust the loft to meet their specific needs. Not every pillow filled with shredded memory foam is going to be adjustable, but this one is! Sleepers who are interested in the feel and support of shredded memory foam should definitely check out my full review of the Easy Breather Side Sleeper. P.S. 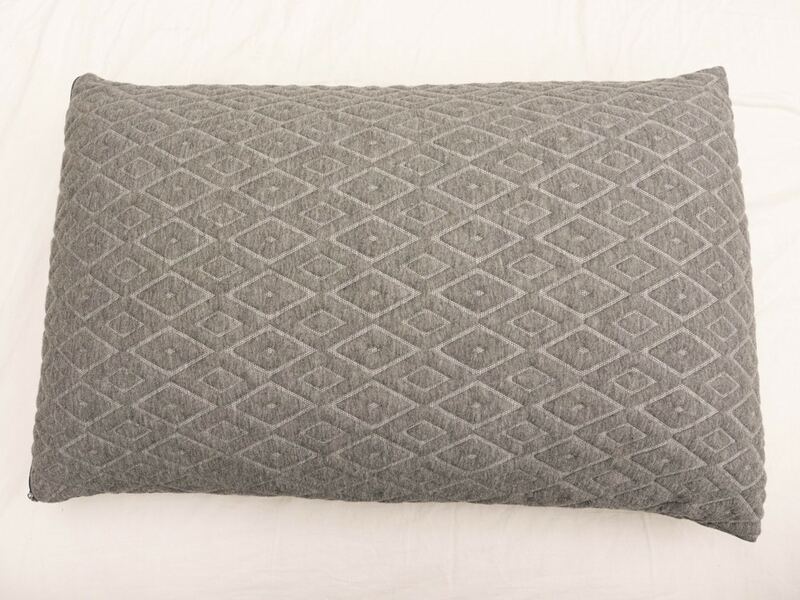 If you’re into the idea of shredded memory foam, but you’re looking for a more traditional shape, the memory foam pillow from Coop Home Goods might be just the ticket. Check it out! Saatva has made a name for itself in the bedding industry, and many of you might already be familiar with its mattresses. But in the ‘Saatva Dreams’ corner of the company, you’ll find the Saatva Pillow. The latex component of the Saatva pillow lies within the innermost layer, also known as the pillow’s core. The core is covered in polyester and filled with shredded American Talalay latex. 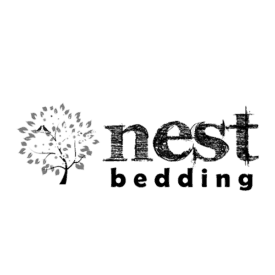 Unlike the solid piece of Talalay latex we saw from Brooklyn Bedding, the shredded pieces offer a very light and cushy feel rather than that super bouncy support. However, the latex core is still very responsive and serves to align your head, neck and spine for healthy sleeping posture. The inner latex core is surrounded by a fluffy down-alternative called microdenier. The squishy, feathery fluff of that microdenier harmonizes with the supportive latex core to offer a nice balanced feel and firmness. 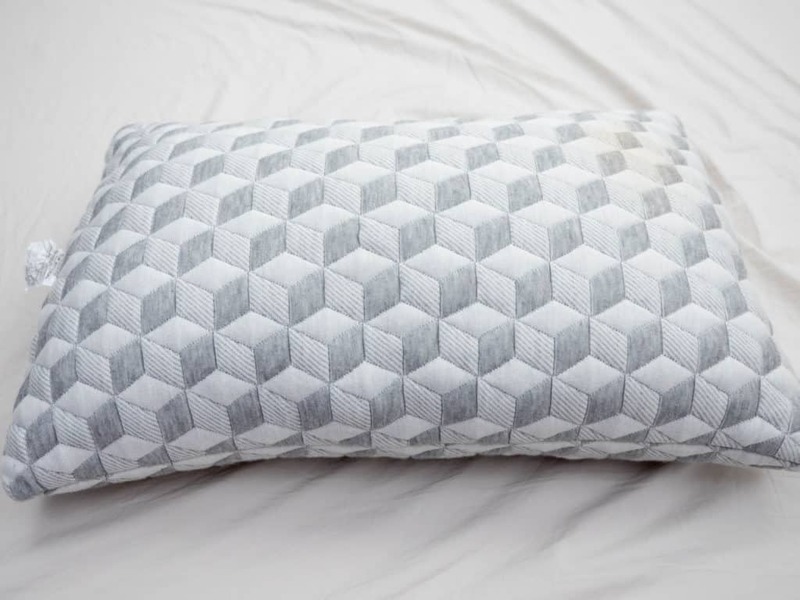 The folks at Saatva say that this pillow is meant to be both supportive and plush, which is why it’s got this multi-layer construction. 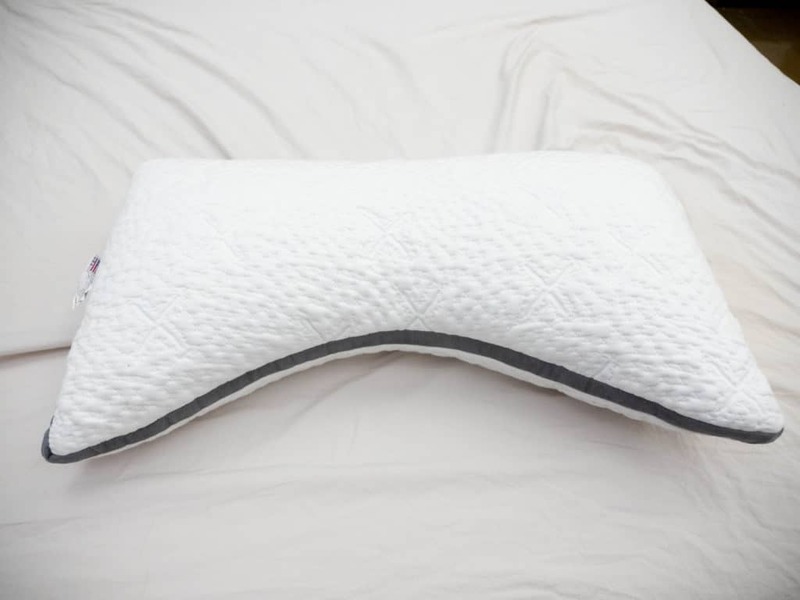 So, this pillow is a great example of how Talalay latex can be used to provide a boost within a sleep accessory without creating a super buoyant feel. Much like memory foam, shredding the internal fill allows the pieces to move independently which provides better shapeability. But since the latex is both shredded and surrounded by a layer made from a different material, this pillow is going to offer a feel that’s very different from a solid piece of Talalay latex. To learn all the details on this pillow, be sure to check out my full written review! A fluffable mix of down-alternative and Talalay latex makes this pillow cozy, cool, and great for combo sleepers! Like we just saw with the Saatva, sometimes latex is used to work in conjunction with another type of fill. 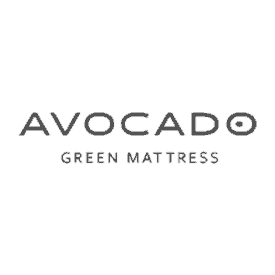 In the case of the Avocado Green pillow, though, the latex is not separated into its own layer; it’s blended with the other material. The Avocado Green pillow is filled with an even mix of Kapok fibers and Dunlop latex shreds. Kapok is a natural fiber that comes from the Kapok tree mainly grows in Indonesia, Thailand and Mexico. It’s got a silky-soft feel to it and, in my opinion, it’s great for blending with other materials because it’s got a fluffy, cotton-like quality. When you mix it with another type of pillow fill, it provides a cushiony complement to the material it’s combined with. This blend of materials offers a plush feel but also provides a medium firmness level. Dunlop latex is generally a bit more dense than Talalay latex, and it combines with the fluffy Kapok in order to create a balanced, ‘happy medium’ quality. Unlike Talalay latex, Dunlop latex is poured into a mold all at once and then left to settle. As a result, Dunlop latex foam can feel denser on the bottom and softer up top. The shredded Dunlop latex inside this pillow does offer a quick response to pressure, but not in a light, buoyant way. In fact, you’re still getting a slight sink into the pillow rather than the lightly supportive lift you get from Talalay latex. However, it’s still not going to conform to your shape in the way that memory foam does. Instead, it sort of cradles your head and neck, gently holding your posture in healthy alignment. Thanks to the shredded nature of the fill, this pillow is also adjustable. Sleepers can feel free to reach in and manipulate the fill however they like. The Kapok, which is derived from a natural tree fiber, has a plush feel that adds a fluff factor which complements the firmer density of the Dunlop shreds. So, similar to the Saatva Dreams pillow, the latex is working with another material to create a balance of plush and supportive. The difference, of course, is all about how the materials are combined. For the full scoop on this pillow, check out my full review! Made with all-natural latex, the Avocado pillow is both eco-friendly and supportive! The Layla pillow actually has a similar construction to the Avocado pillow in that the fill is shredded and blended with Kapok. The big difference, of course, is that the Avocado mixes the Kapok with Dunlop latex, while the Layla uses gel-infused memory foam. As I mentioned earlier, the Kapok has a super soft and airy feel — but the memory foam is more dense and resilient. The Layla pillow has a very lofty build, and the foam offers a deep sink into the pillow. So, you are getting this very thick and dense, yet plush and cushy feel. And even though it’s got a thicker profile, the shreds are able to move freely within the pillow which allows good moldability. So, again, we see the combination of two materials working together to create a balance between plush and supportive. In this case, the blend of shredded memory foam and Kapok gives it a silky, fluffable, moldable quality that closely conforms to pressure. However, when compared to the other memory foam pillows we just looked at, the Layla has a much quicker response to pressure. It still contours to your shape in that distinctive memory foam way, but the Kapok adds a quicker responsiveness. 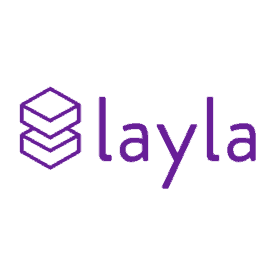 Because it’s so lofty and thick, the Layla offers great pressure relief for your shoulder when you’re in the lateral position. So, memory foam fans who are also side sleepers might particularly benefit from this pillow. Not to mention, the gel-infused memory foam works with the copper-infused cover fabric to ensure that the pillow sleeps cool. Check out all the details of the Layla pillow here in my full review! Well, we’ve taken a look at six specific pillow examples, but remember that all memory foam and latex pillows have different characteristics depending on how and where they’re made! So, let’s go over the basics one more time so you know what to look for when you’re shopping for a pillow on your own. While this is sort of a simple, general guide to follow, memory foam and latex pillows can come in all firmnesses and feels. That’s why I always recommend testing your sleep accessories (whenever you’re able) before committing them to your bedroom! You’re more likely to be compatible with a memory foam pillow if you know you benefit from its qualities listed above, but in the words of a sleeper on Reddit, “Some people love them, others will never find the right fit.” Personally, I’ve found pillows with solid pieces of memory foam to be more polarizing, so if you’re not sure how you feel about this material, try a shredded blend of memory foam first! Speaking of Reddit, the reviews for memory foam versus latex pillows are pretty varied, but sleepers who tend to favor the feel of latex generally report less compatibility with memory foam (and vise versa). 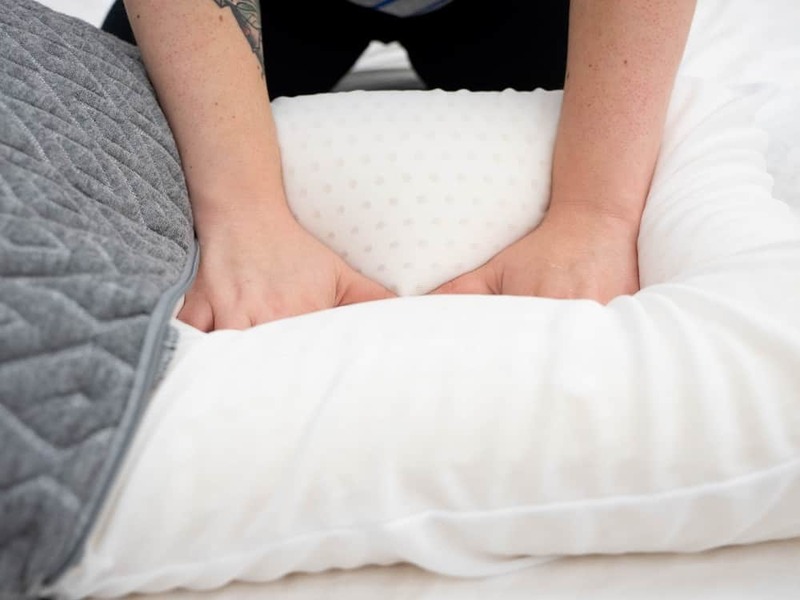 A good supportive pillow is meant to complement a good supportive mattress, so be sure to check out our latex foam pillow reviews . 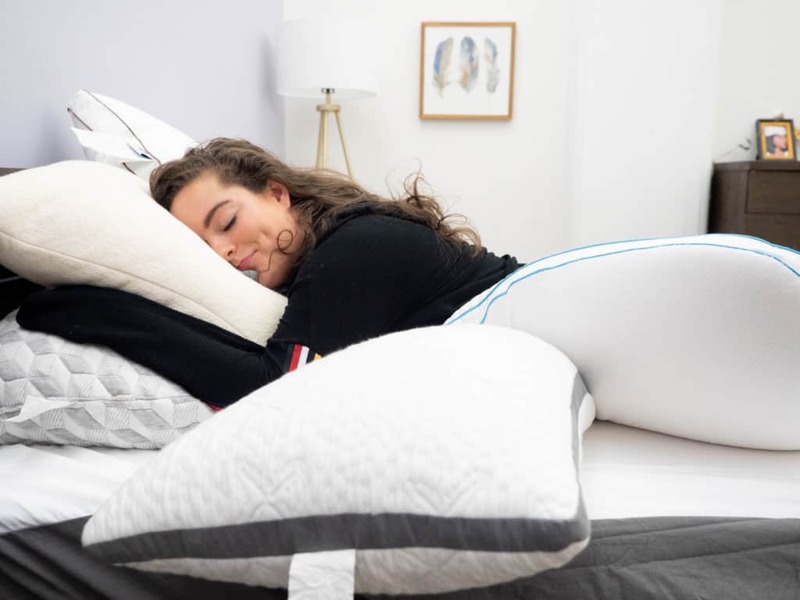 We know that finding the right pillow is crucial to keeping healthy posture throughout the night, but it would be a shame for your pillow’s hard work to go to waste because you’re sleeping on the wrong mattress! Luckily, we’ve got a guide to the best latex mattress and a guide to the best memory foam mattress so that you can better determine which of these materials is going to help make your dreams of perfect sleep come true. However, if you are already loving the mattress you’ve got, but what to enhance the feel and support with a latex or memory foam topper, that can be a good way to enliven your sleep space without getting a brand new bed. And don’t feel obligated to match your pillow with your mattress either! Feel free to use a pillow filled with natural latex foam on top of a natural memory foam mattress. 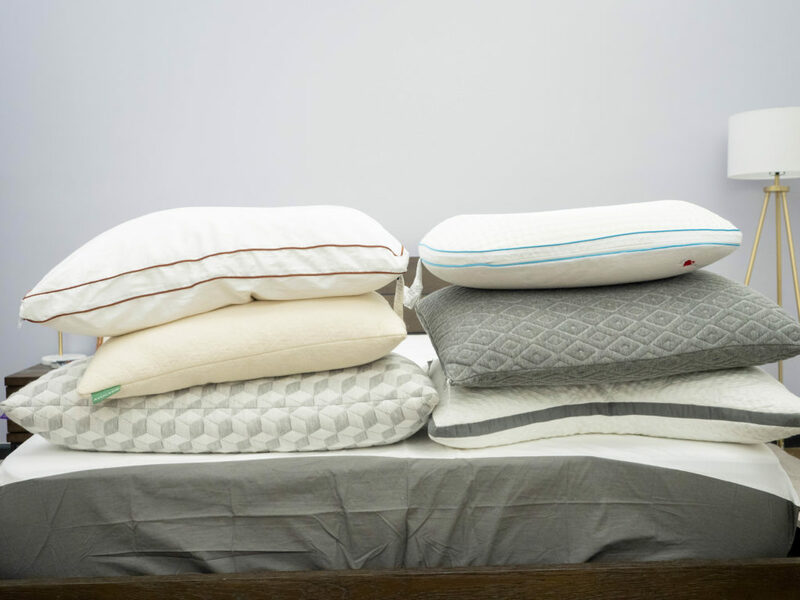 It’s all about finding which sleep accessories are going to work best with your mattress in order to ensure proper spine alignment, pressure relief, and cozy comfort. You might be asking yourself: “Well, what about innerspring?” Of course, latex and memory foam aren’t the only options out there, so check out our guide to the best mattress and we’ll put you on the right track. At the end of the day, everybody is different and our sleeping habits are prone to change over time. So, it’s important to remember that what works well for some sleepers might not be as great for others. As I said, researching a sleep accessory before you purchase it is a great way to get a good preliminary sense of it, and whether or not it’s going to serve your particular needs.